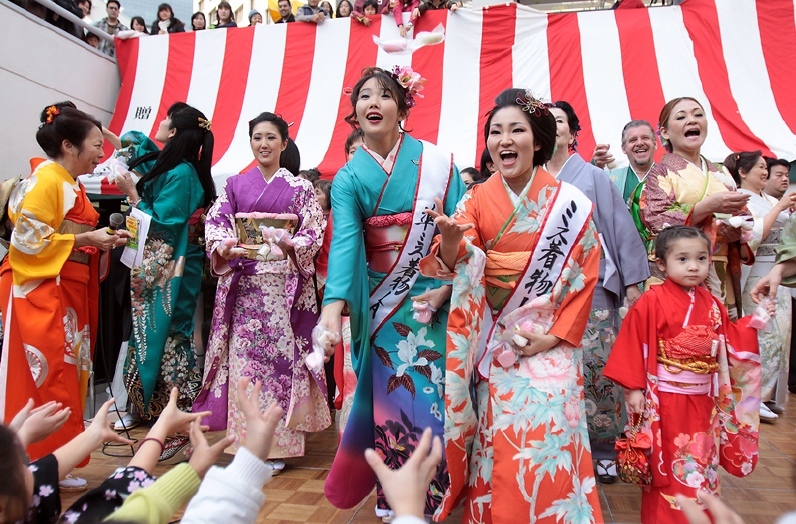 L.A. Kimono Club members toss pieces of mochi to the audience, a practice known as mochi-maki. The Japanese Chamber of Commerce of Southern California and Japanese Chamber of Commerce Foundation will welcome 2018 with a Japanese New Year’s celebration in Little Tokyo on Monday, Jan. 1, from 11 a.m. to 4 p.m. The venues are Weller Court, Second Street and San Pedro Street; Japanese Village Plaza, between First and Second streets near Central Avenue; and Frances Hashimoto Plaza, across the street from JVP, south entrance on Second Street. Food and beverages will include amazake, beer, cotton candy, popcorn, mochi, yakisoba, taiyaki, okonomiyaki by Gaja, yaki-imo, takoyaki by Tanota, oshiruko by Ryugakusei Hotline, and karaage by Tenkatori USA. 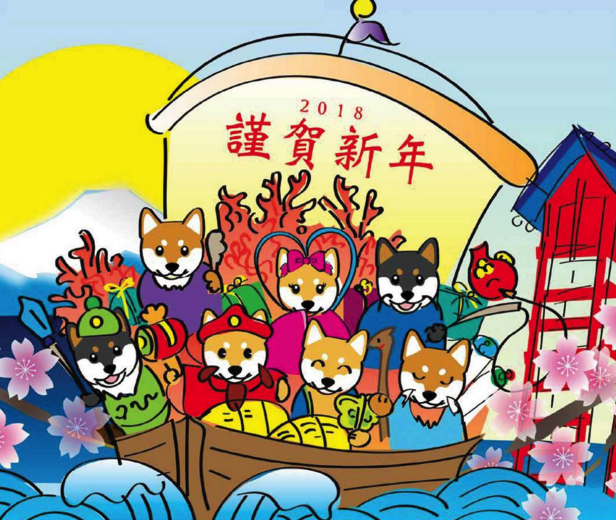 Interactive and hands-on demonstrations of traditional Japanese activities such as children’s books and toys, ton ton paper sumo wrestling (origami sumo tournament), fukuwarai, anime both, kendama performance, ring toss, tic tac toe, otedama. Free parking and shuttle service provided by Metro at the Mangrove Lot, 428 E. Temple St. (between Alameda and Vignes). Shuttles available every 15 minutes from 10 a.m. to 6 p.m.
For more information on the sponsoring organizations, call (213) 626-3067 or visit www.jccsc.com.